FEDCOC announced a competition 4-6 May to solve Alexandria's traffic and construction problems. Part of TECHNE summit 2016. The Federation of Egyptian Chambers of Commerce, the computer department, is organizing a competition to provide ICT solutions to Alexandria's problems. The competition focuses on challenges related to traffic and construction violations. This competition will be held between 4-6 May on the sidelines of TECHNE Summit that is due to be held 7-8 May. The winners will be announced at the opening of the summit that is running for the second year under the auspices of the Ministry of Communication and information technology, ITIDA and FEDCOC. 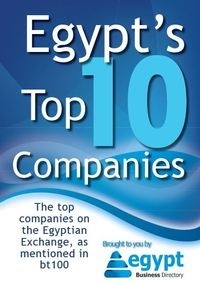 "participating in this summit helps emerging Egyptian companies get to know the latest developments in technology and business models, it also creates networking channels between these companies and international companies and investors" said head of FEDCOC'S computer department Khalil Hassan Khalil. Minister of communication Yasser Al-Qady, Governor of Alexandria Ahmed Abdelzaher and FEDCOC's chairman Ahmed Al-Wakil.